How Important Is Soundtrack Music? It’s a busy time for me just now, so I’m afraid updates will be a little longer between for a bit. At any rate, here’s something interesting I just saw. It’s a good demonstration of just how powerful an effect the music has on our perception of the action in a film or video project. I’ve done something similar a few times with students by recording someone walking down a hallway and dubbing in different music for the that exact same scene. As the music changes, so does the feel you get of the person walking. In the above video, the change in music makes the happy Sound of Music turn into a dark and terrifying drama. Here’s another embouchure question I got asked a while ago. Apologies to Mike to not getting him a reply until now. I have a question about how much of the circular muscle of the lip should be on the teeth or within the gap created between the teeth. 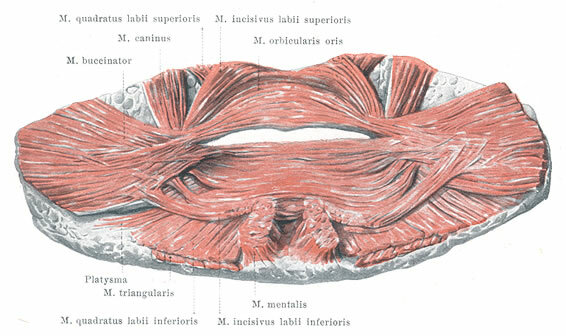 I find that I play with the muscle top and bottom entirely within the gap between the upper and lower teeth. I personally feel that this condition is detrimental to both range and endurance even though I can get a reasonably nice tone. When I finish an hour practice session, there is a sore area above the muscle in the inner surface of my upper lip created by my teeth even though I use a minimal amount of pressure to play. It’s a little hard to follow your question, but I think I may have an idea of what you’re asking. Without being able to watch you play in person, I can only speak generally and offer speculation on what’s happening with you, so take this with a grain of salt. Here’s another embouchure question I’ll take a stab at. I’ve watched all your videos in the last 2 days and have been studying Reinhardt with the encyclopedia for quite awhile and I appreciate your use of “embouchure motion” rather than pivot. My embouchure is upstream, off to the L side, angle almost straight out. I had been using side movement: R and up for low reg. and L and down for higher reg. In the ency. Reinhardt says it is best no matter what type to put pressure on lower lip but in listening to your videos you say that with a low placement upstream emb. more vibration happens with the lower lip and I seemed to have confirmed this today. Putting more pressure on top for low notes and then more pressure on bottom lip for high notes. This seems to free up vibrations and the side mvt. is not so extreme. Is this correct for low placement upstreamer? Is it normal to spend an hour learning a lick? Here’s another great post from David Valdez at Casa Valdez Studios. One of his students emailed him a tough question. Is it normal to spend an hour or more trying to learn a lick? I was learning the last four bars of Chris Potter’s RC solo but it felt like it took forever just to get the fingers to work through the notes in every key. David begins his response by saying that learning licks in all twelve keys is a total waste of time. It sounds sort of crazy at first, but you should go read his whole explanation. He has some good suggestions about learning to play in all keys comfortably and some interesting food for thought. Grats to the WCU Pride of the Mountains Marching Band. They performed on New Years Day at the Rose Bowl Parade and were named the “favorite band” in the post-parade poll. A great send-off for director, Bob Buckner, who is retiring at the end of this year. Way to go, Catamounts! Jazz pianist Hal Galper talks in this masterclass about the illusion of the piano (or any other instrument) being the “instrument.” Galper talks about the real instrument is the musician himself/herself. Check out what he says in this video. 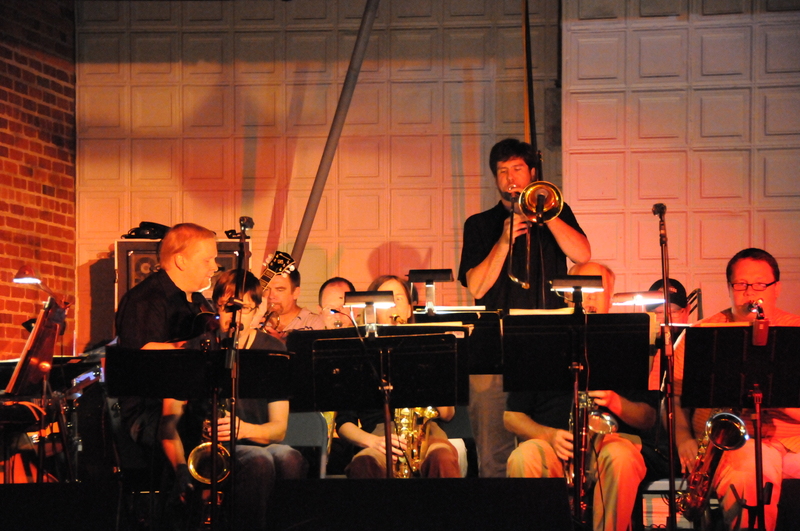 Tomorrow night, Friday January 7, 2011, I’ll be playing again with the Asheville Jazz Orchestra at the White Horse Black Mountain. We’ve been playing there once a month for for a short time now and it’s turned into a good gig for us. We’ve had nothing but good audiences there so far and the White Horse staff have been very helpful getting the crowds in. As we always do, the AJO will be playing a mix of big band jazz ranging from Swing Era standards to original compositions. I got the parts completed on my latest new chart, so we’ll probably be premiering it at the show. If you’re in the area, please stop by and let me know what you think of it. I’ve been posting a lot about Wycliffe Gordon lately, partly because I recently had the opportunity to back him up in concert, but mostly because he’s a great trombonist. I got emailed the link to this video and was asked about what I thought of what’s happening with Wycliffe’s chops at 4:10 into it. You get a few good looks at his embouchure in this video. His setting is very stable, with very little excess motion. This makes it hard to spot his embouchure motion, but I think I can see some examples of it in there (could be my confirmation bias, but I’ve noted his embouchure motion in person close up, so I’m pretty certain it’s down to ascend, up to descend). One interesting exception happens around 4:00 into the video. About 4:07 he takes the mouthpiece off to lick his lips and then resets just before he pastes a double Eb! The rest that follows is only speculation. I don’t think Wycliffe is using this to reset his mouthpiece placement to a different position on the lips here. Some players do that for extreme ranges, sometimes to just a slightly different setting and sometimes completely switching embouchure types. While the placement does look a bit lower for the Eb, I suspect that this is just his downward embouchure motion pulling his lips down. First, he descends down from there and his timbre is consistently the same as before. Usually a change in setting has a noticeable effect on the tone, which I don’t hear (although it could be the recording isn’t enough to bring it out). Secondly, Wycliffe plays into that extreme upper register all the time, often going from very low notes very quickly. If he was resetting the mouthpiece to a different placement for the high notes in this video, he doesn’t seem to need to usually. Thanks to Paul for spotting this video and sending me the link. It’s got a nice look at a trombonist’s embouchure and is some great playing too. Another question from the internet. I’ve begun teaching beginning trombone students and I find myself somewhat… stunted in terms of discussing embouchure placement, how to play higher or lower, etc. with them, especially as I’m not versed well enough in the Reinhardt system to diagnose their embouchure types (nor am I sure that their embouchure type has ‘stabilized’ even for the short term anyway, given how young people tend to ‘sprout’). Can you offer me any guidance on how to teach these students? I suppose I could look at Arban or another beginning trombone book to see, but because I find myself confused by the ‘mirror effect’, I’ve avoided the topic for the most part, instead focusing on holistic results of “OK, that’s a good tone quality. That’s a good articulation. Try to keep the air moving more smoothly” etc. There are plenty of teachers who are much more experienced starting beginners than me, although I do get to teach middle school and high school students private lessons and through summer music camps frequently. Depending on the circumstances, I may offer some embouchure instruction, but in general I take somewhat of a “hands-off” approach unless I happen to see a problem. Because younger beginners are often still growing and they have some embouchure strength building to do, trying to type their embouchure is almost pointless. Left to their own experimentation, most student will figure out where they need to place the mouthpiece on their own. I’ll be getting around to answering some of the emailed embouchure questions starting today, taking them in the order I’ve gotten them. Here’s today’s. I’m a high school trombone player and I’ve been reading a lot of your articles on embouchures and have decided I’m probably one of the Type IVs (that’s how I’ve been playing for the last few years at least). However, when I play in the upper register, my lower lip seems to hide behind the upper lip and looks very similar to the “jelly roll” embouchure type, except that the mouthpiece placement is low as opposed to high. Is this okay or would you recommend trying to change that (or do you think I would actually be a standard type III)?